Clients go to your your online store, they navigate through it… and then they leave without buying. At some point, those clients ran into something that made them leave without making a purchase. What was it? How can we solve it? In this post, we explain what the 5 most common sales objections are for e-commerce and, more importantly, we teach you how to overcome them. This is pretty simple. Let’s start with a short definition. A sales objection is any reason for which clients do not complete a purchase. They decided to look in other shops. The payment process was too long. Before we start solving the most common causes, we want to highlight one idea: you should always be making an effort to understand why clients do or don’t buy. We already mentioned this idea when we talked about the conversion funnel. Not everybody buys the same way, so it’s really important to understand what each client is thinking at each step. This will help you offer them the answers (or content) that they need to start the purchase process (which is the main idea of Inbound Marketing). Every now and then, put yourself in your clients’ shoes and experience the whole purchase process for yourself. Which difficulties do you run into? Do you have any doubts during the process? Where did you end up and which path did you follow? Did you abandon your shopping cart? Carrying out a detailed analysis of your website on a regular basis will help you to improve your conversion rate over time. With that behind us, let’s get to those solutions. As we said before, there are multiple reasons why a person may choose not to purchase a product. We are going to go through some of the most common examples of sales objections, so don’t get distracted now. 1. Are you targeting the correct audience? Users that visit your shop are looking for oranges but you specialize in pears. Buyer persona: This is a very common problem for young businesses that don’t know who they are targeting or those that want to sell to everybody. Hyperspecialization is the tool you should use to add more value and then you won’t have to compete so strongly on price. This is essential if you haven’t done it yet – click here and define your ideal client. Proper segmentation of your advertisements: Online ads are great – if you segment them properly. Don’t always try to sell directly because in many cases, conversion will increase if you try to make them subscribe first. Here you have a post about Facebook Ads and Google AdWords. Good choice of keywords: Do you know what the best keywords are for your sector? Choosing the wrong keywords can lead to an unqualified audience. That is to say, people who are not interested in what you sell (remember the pear example). Read this post about what keywords are, which will be really useful if you are starting with your SEO strategy. Show the final price from the beginning. Indeed, we are telling you this near the top of the list because it’s one of the worst mistakes you can make. Everyone hates thinking that they are buying something for a price that ends up being much more expensive after taxes and fees. Price is, without a doubt, the most difficult obstacle that you have to handle. Amazon is always present and it’s extremely difficult to compete against it. Let’s see what you can do. Specialize your shop: Do you remember when we mentioned how important it was to specialize? That’s how you can beat Amazon. When you focus on a very small niche, you can understand your clients’ needs and how to solve them much better. Clients understand that it’s worth paying more for a very specific shop. Customer service: Be flawless with your clients. Even though you have an online shop, your clients want to feel that there are people behind it all. Have an online chat, offer telephone assistance, and answer the emails you get quickly. Read this post to go more in depth. Free shipping: Fact: people hate paying for shipping. Analyze how much you will decrease your profits by offering free shipping and measure the conversion. You can always offer free shipping after a minimum amount (really useful to increase the average checkout price as well). Social proof: One shop has a slightly cheaper price, whereas the other has several positive reviews from clients. Which one are you going to buy from? A lot of people will choose the second option since they’ll trust it more. This is rather important for e-commerce sales. In this post, you have more information about social proof. Or clients don’t see how your product can benefit them. Don’t forget that online clients need to very clearly understand the real benefit that they are going to get. Even if you offer free returns, many people won’t buy just because you eliminate the hassle of sending the product back. These are some ways of showing your products’ benefits. Copywriting: This is essential to write good product cards. Copywriting is writing to sell. It is important that you show the benefits and not just the characteristics or that you tell stories so that clients start imagining themselves with the product. Read this post about copywriting for e-commerce. Videos: Aren’t videos that show your product in use the best way to show how they work? Video marketing continues to be a must for every online store. Read this post about how to create videos. Images: Similar to videos, any format that helps show your product is a plus. For example, images continue to be a strong option for clothes. Don’t forget to show details (texture is important to show softness). Here you have a tutorial about optimizing your images. Have you ever visited an online shop and realized what a mess it was? You try to navigate the categories and products but it’s difficult to figure out what you have to click on to find what you’re looking for. This is classic e-commerce. Shops with many different types of products find it quite difficult to categorize them clearly and properly. Keywords study: To know how to properly classify your products, you need to know how your clients look for them. Think about running pants – what do you call them? Trousers? Pants? Legging? You need to check how your clients look for your products before you classify them (it will also help if you check how your competitors do it). Click here to learn how to find keywords. Good website architecture: The previous point leads to this one. A keywords analysis will determine the architecture that your website should have. Try to create an index that guides clients (for certain sectors it is a good idea to segment from the beginning into men, women, or children). Professional search engine: A search engine is the shop assistant that helps clients in a physical store and that suggests products depending on what those clients ask for. And the best part is that you can test out how your conversion rate increases by installing one since you can try Doofinder free for 30 days. 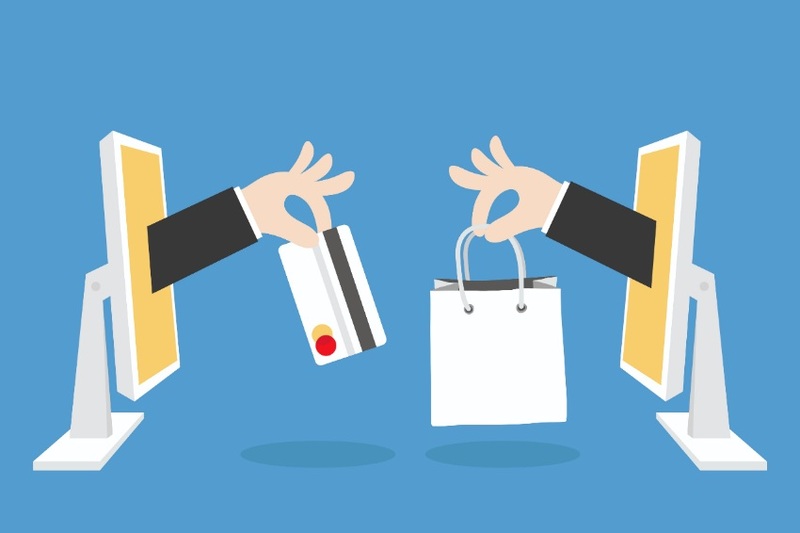 There’s an interest to buy – otherwise, you wouldn’t be in the shop – but consumers (leads for online shops) may not be ready to buy yet. Remember what we said about the conversion funnel. Let’s see what you can do to avoid losing the client. Remarketing: We “follow” clients with ads in different places so that they remember that product they were checking out not so long ago. Here you have a tutorial about how to use remarketing. Make them subscribe so they start moving through the funnel: Those who were just looking left your shop. Are they coming back? We don’t know, but you can’t afford to let them go and without being able to contact them again. This is why it’s so important that they provide their contact details. This way you’ll be able to send them emails to build trust and show them how beneficial your products are. Are you ready to overcome any sales objection? We’ll leave you with one more post about how to recover abandoned shopping carts. Copywriter and website editor specialized in digital marketing and online shops. I use the power of words to help entrepreneurs sell their products. I am fascinated by anything and everything that has words in it. Tips on e-commerce, marketing business and more.